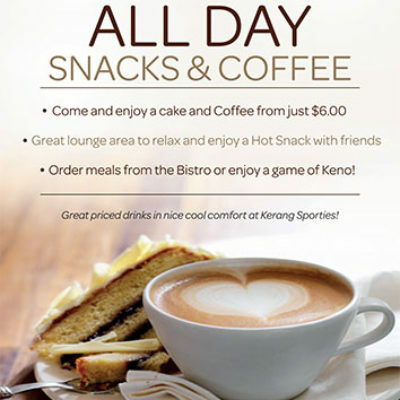 Earn points per dollar spend at Sporties and you can use these points to purchase meals & drinks. 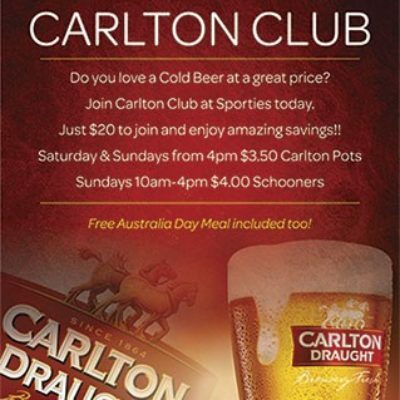 You can have all Sporties great offers mailed to you through our Members Express program. 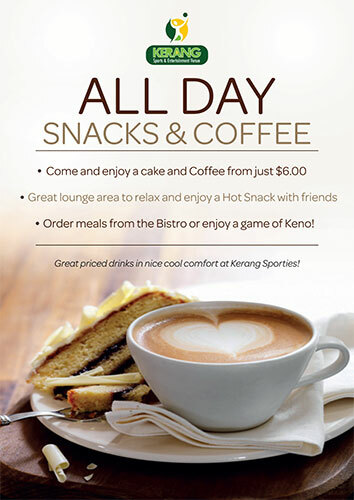 Gain drink vouchers, Keno Vouchers, Coffee Vouchers and more. Attendance prizes - just for coming to Sporties and swiping your card you can WIN a Mystery Spot prize. 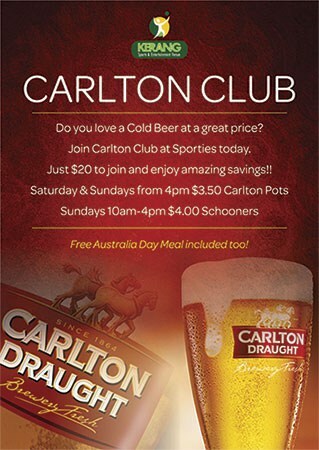 Carlton Draught Club Promo ! !